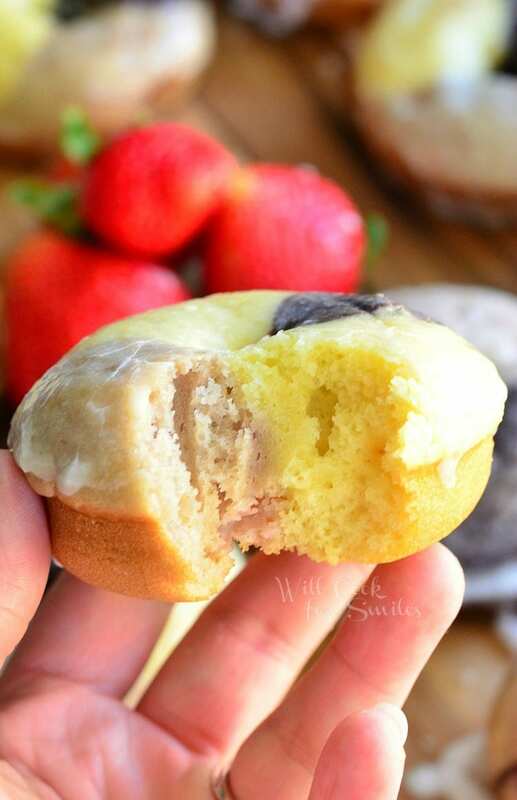 Soft, moist, cake-like baked doughnuts inspired by the Neapolitan ice cream and made with three layers of different flavor in one. 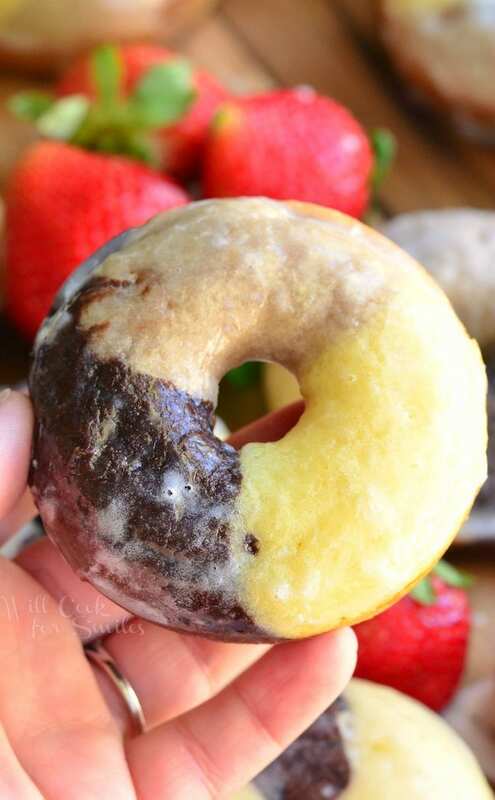 These doughnuts have chocolate, vanilla and strawberry flavors in one doughnut and dipped in glaze as an extra sweet touch. 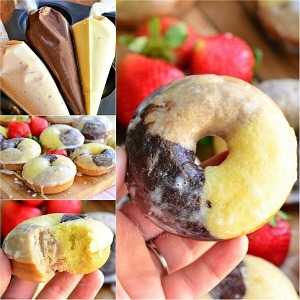 These doughnuts are very special! They are a perfect way to surprise and amuse your family at breakfast. 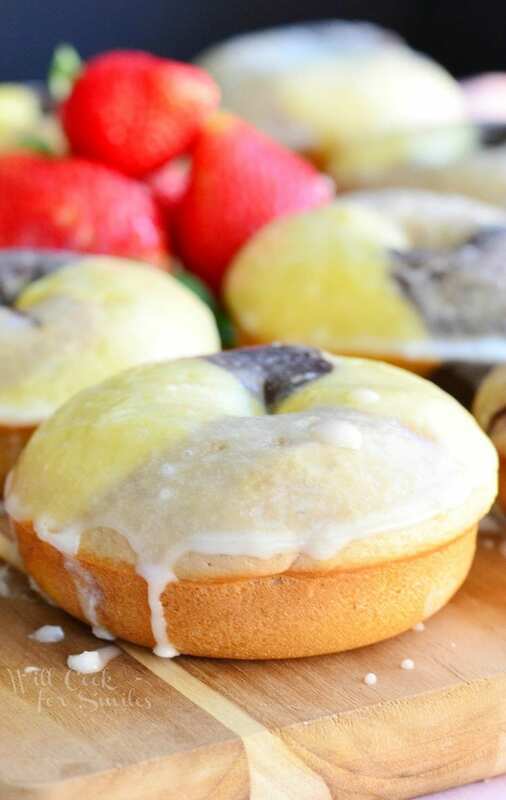 I won’t lie and tell you that these doughnuts are effortless and super easy. They are not, they do require some time to prepare. But, if you set yourself up and take it one step at a time, within an hour, you will have a plate of these gorgeous treats. ~Have three small bowl ready as you are mixing the main batter. 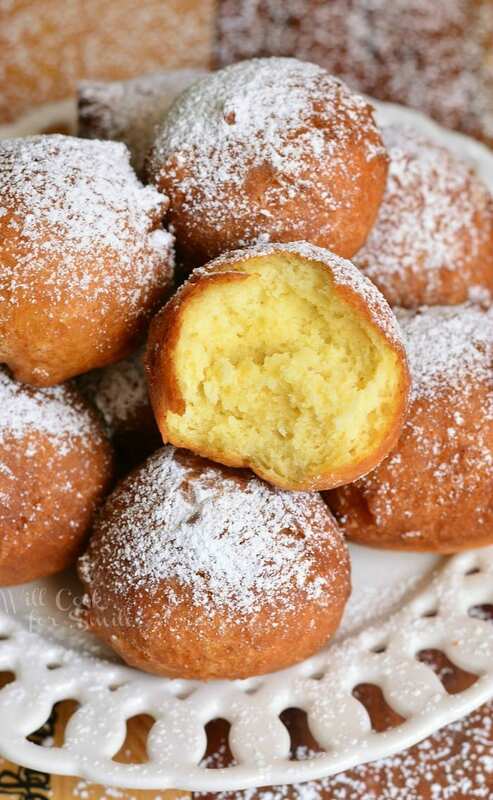 ~You will want to have a thick cutting board or something thick to prop your filled pipping bags tip-up, while adding each batter to the baking pan. That way, your batter doesn’t leak out. 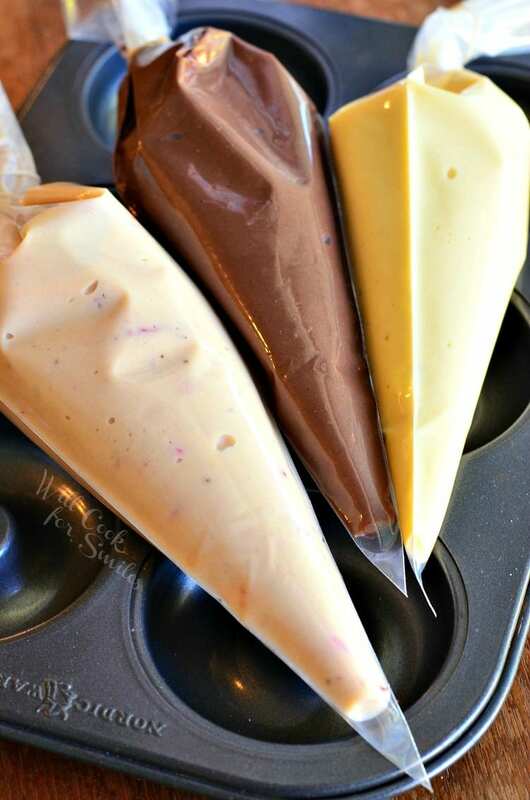 ~Have a pint glass or a tall, narrow bowl ready to place your three piping bags in (tip up) while baking the first batch. Again, this will keep your batter from leaking out. 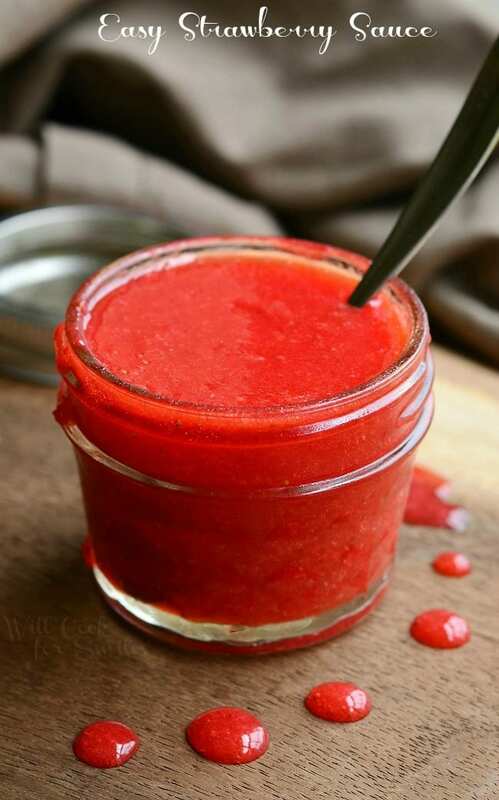 ~If you don’t have strawberry sauce and you don’t feel like making any, use strawberry jam that is not too thick. Divide batter among three small mixing bowls, evenly. Whisk in cocoa powder and 1 Tbsp buttermilk into one bowl with batter to create the chocolate part. Whisk until smooth. Pour chocolate batter into a piping bag (tie the top with a small rubber band). Add strawberry sauce and flour to the second bowl and whisk until completely incorporated. Fold in strawberries. Pour strawberry batter into another piping bag (tie the top with a small rubber band). Pour the third, vanilla, batter into a third piping bag (tie the top with a small rubber band). Cut the tips off the piping bags, leaving only about ½ inch opening. Bake for 10-11 minutes and let doughnuts cool on the wire rack, just until the doughnuts cooled enough to be handled. Spread paper towel under the cooling rack to catch icing drippings. 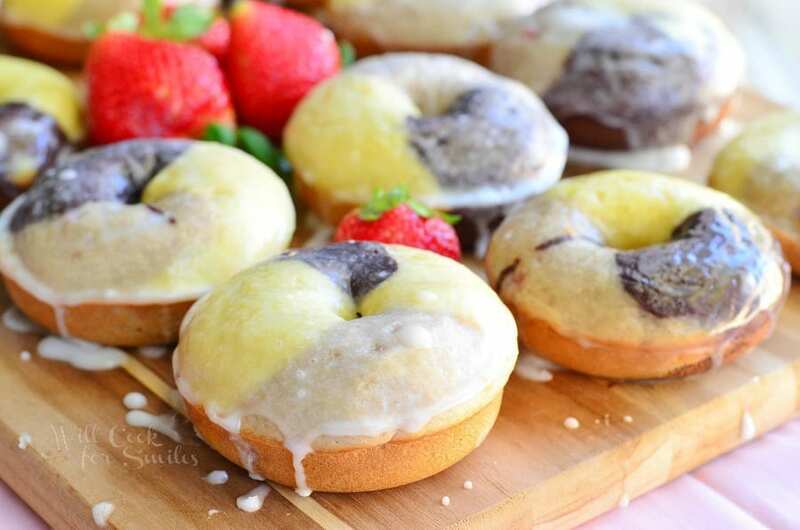 While doughnuts are baking, prepare the icing: Place powder sugar in a small mixing bowl. Heat up milk in a microwave for a few seconds. Add milk and vanilla to powdered sugar and whisk until completely smooth. Set aside. 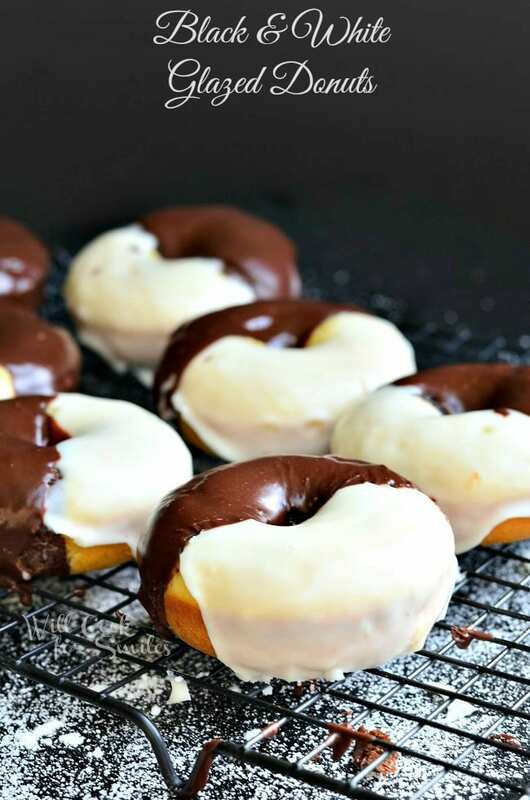 Once doughnuts are cooled enough to handle, pick up each doughnut and dip it in the icing. Place back in the wire rack to cool and set. Oh these look so tasty!! It would be an awesome Saturday morning treat for my husband and littles 🙂 thank you for sharing!